RevK®'s rants: Spammers 0:1 RevK, again? Just out of interest, how many places does your blog get syndicated to? No idea. But I know that once something is posted on the Internet it can and will be copied and that will be out of my control. I'm no lawyer, but surely by telling the court that they will pay, and subsequently refusing to do so, they are now in contempt? Not only that, but they appear to have misinformed the court by saying that an agreement had been reached when this is clearly not the case. 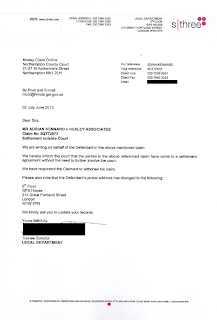 You said that the solicitors have said that they have sent the £30 by BACS. 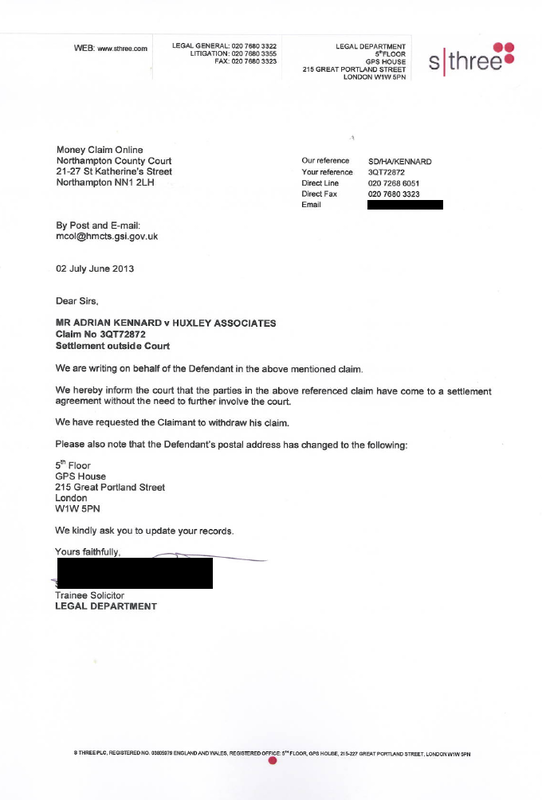 Did that mean that the solicitors themselves had sent the money (in which case it would seem that they were lying to you) or did it mean that the solicitors had been informed by their client that the client had sent the money (in which case it would seem that the client had lied to their solicitor)? Bump up the bill to cover your extra costs involved in handling their letters! As I understand it (check with a lawyer before relying on this), by agreeing to settle, they've turned the damages you're claiming into a debt; this means that the court doesn't need to look at the merits of your case, but just at their agreement to settle, and their failure to do so. If they wanted to impose terms like they're trying to do now, they needed to do that as part of the offer to settle, not after they've agreed a settlement. They said my blog infers. It would imply and the reader of the blog would infer, surely. And really? the blog post said they had "settled" and actually posted the letter where they state quite clearly the basis on which they settled. Yes, the blog would imply and the reader infer. "[the blog] infers that we have accepted liability"
"[the blog] infers [within the mind of the reader] that we have accepted liability".